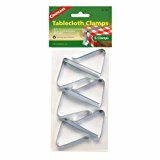 PRODYNE GARDEN DWELLERS TABLECLOTH WEIGHTS HWPD10D METAL TABLECLOTH WEIGHTS��Attractive and functional tablecloth weights are a must for all outdoor entertaining. 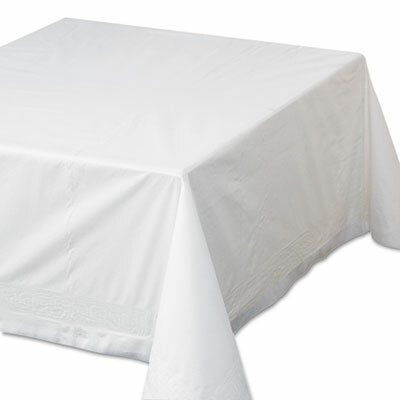 Simply clip the weights around the bottom of your tablecloth to keep it from blowing in the wind. 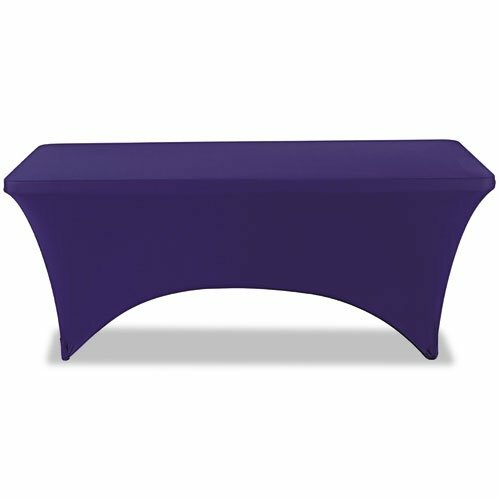 Strong, absorbent table paper protects exam tables from dirt and moisture while offering comfort and protection for patients. 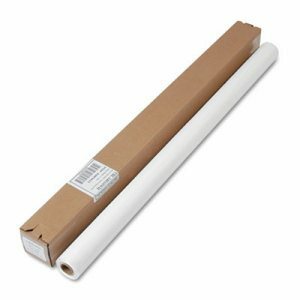 Shape: Rectangular; Material(s): Smooth-Finished Paper; Color(s): White; Width: 18". 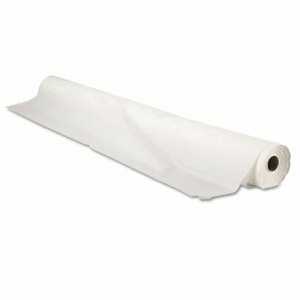 Premium two-ply tissue surface provides a cloth-like look and feel. 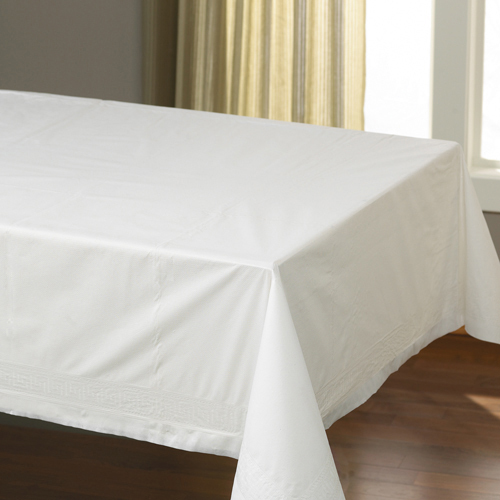 Decorative, fine-stitch-style embossing lends gatherings an element of classical sophistication. 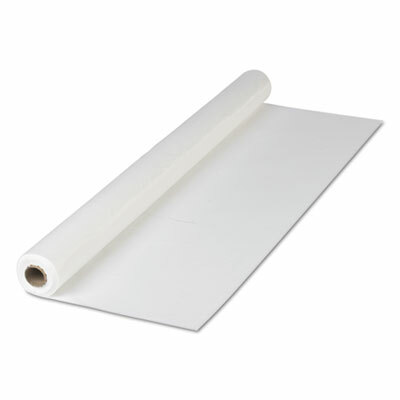 Protective polyethylene backing. 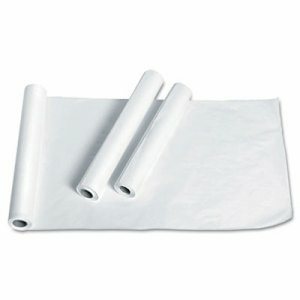 Shape: Square; Material(s): Tissue/Polyethylene; Color(s): White; Width: 72". 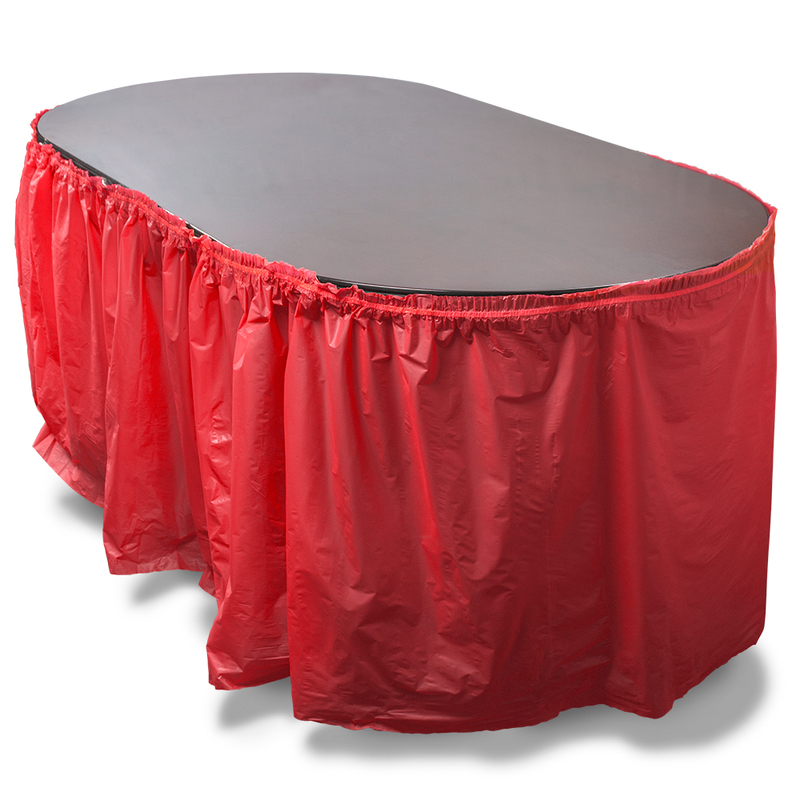 Easily transform resin- or laminate-wood-top tables into elegant presentation platforms in seconds. 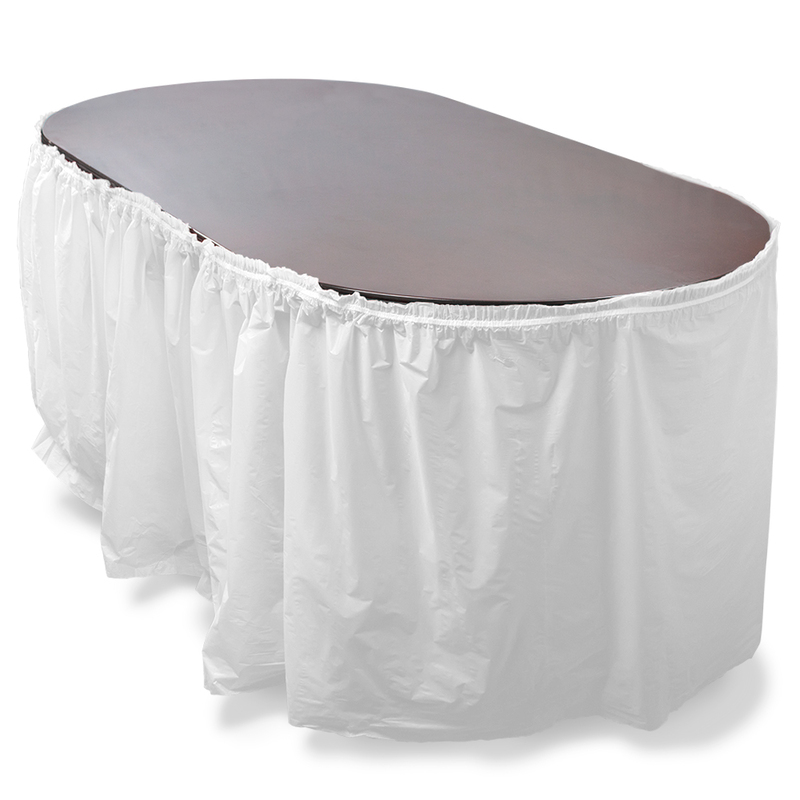 Table cloth fits snug over the table for a tailored fit, and reinforced leg-pockets keep the table cloth secured to the table while preventing tears and rips. 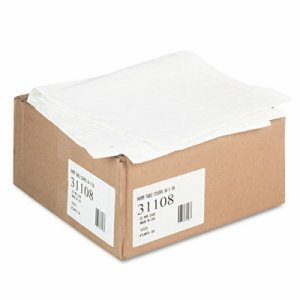 Machine washable and iron safe. 90% polyester; 10% spandex. 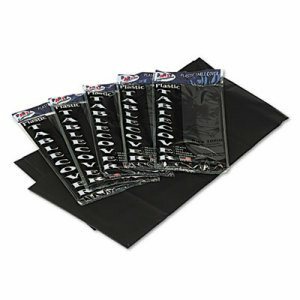 Shape: Rectangle; Material(s): Polyester/Spandex; Color(s): Black; Width: 30". 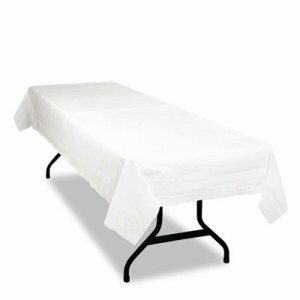 Strong, absorbent table paper protects exam tables from dirt and moisture while offering comfort and protection for patients. Shape: Rectangular; Material(s): Crepe Paper; Color(s): White; Width: 18". 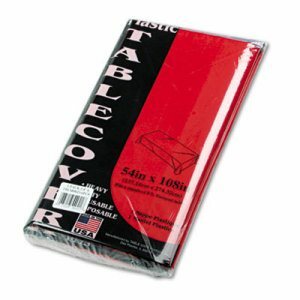 Easily transform resin- or laminate-wood-top tables into elegant presentation platforms in seconds. 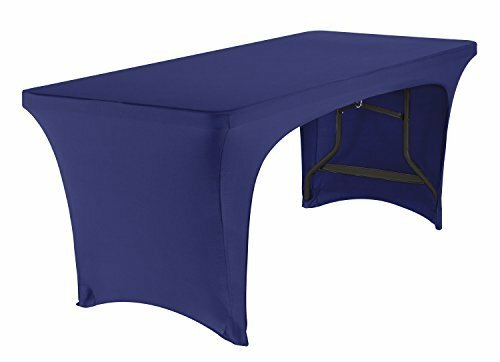 Table cloth fits snug over the table for a tailored fit, and reinforced leg-pockets keep the table cloth secured to the table while preventing tears and rips. 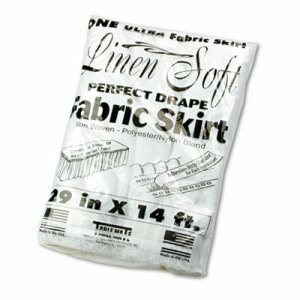 Machine washable and iron safe. 90% polyester; 10% spandex. 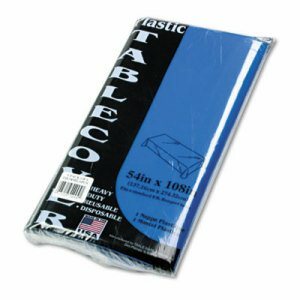 Shape: Rectangle; Material(s): Polyester/Spandex; Color(s): Blue; Width: 30". 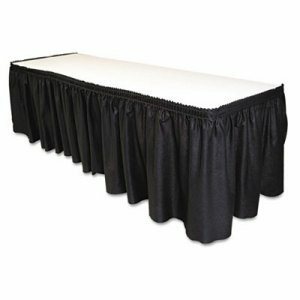 Adds style to any special event. 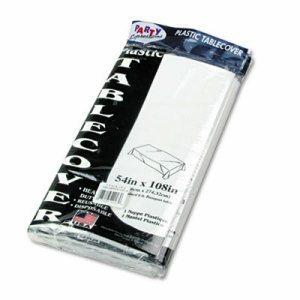 Plastic tablecover protects surface from spills and drops. 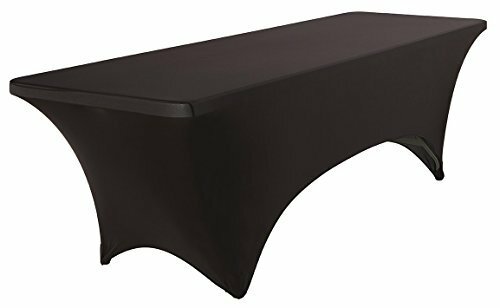 Cut to fit table length. 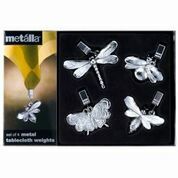 Shape: Rectangular; Material(s): Plastic; Color(s): White; Width: 40". 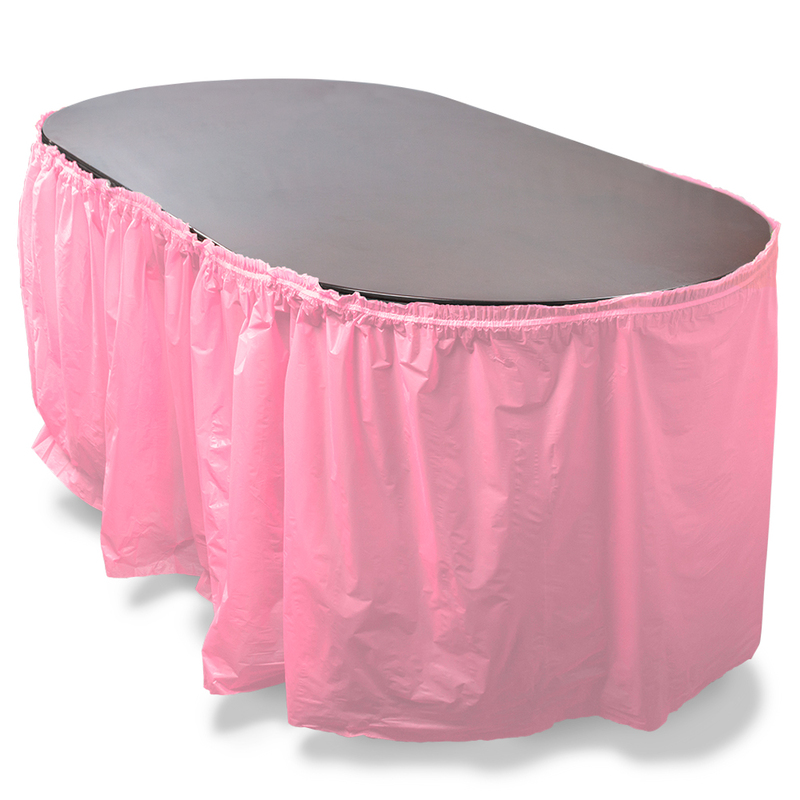 Easily transform resin- or laminate-wood-top tables into elegant presentation platforms in seconds. 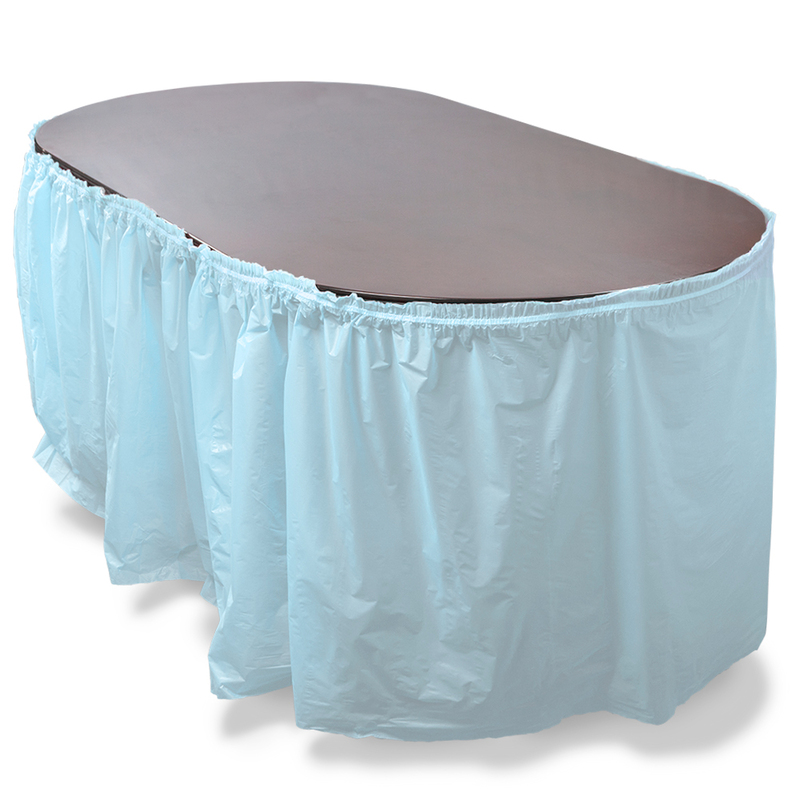 Table cloth fits snug over the table for a tailored fit, and reinforced leg-pockets keep the table cloth secured to the table while preventing tears and rips. 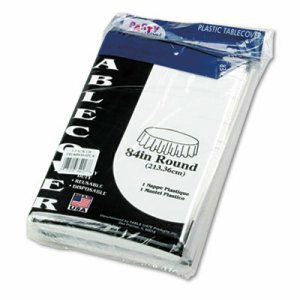 Machine washable and iron safe. 90% polyester; 10% spandex. 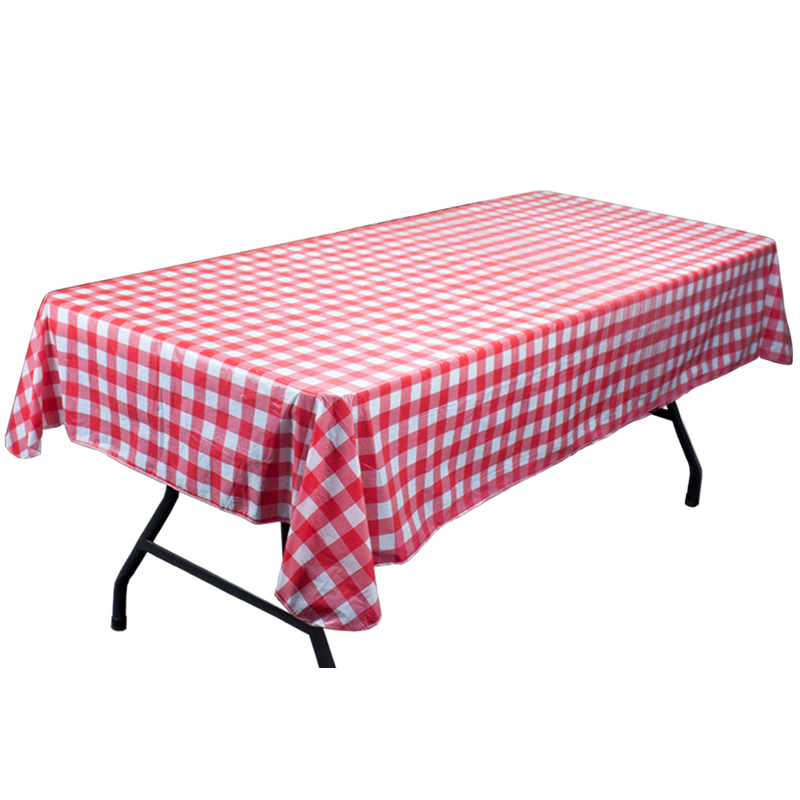 Allows for full seating at the table with spacious leg room. Shape: Rectangle; Material(s): Polyester/Spandex; Color(s): Blue; Width: 30". 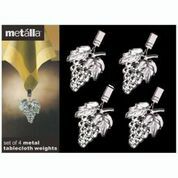 PRODYNE GRAPES TABLECLOTH WEIGHTS HWPD10G METAL TABLECLOTH WEIGHTS��Attractive and functional tablecloth weights are a must for all outdoor entertaining.